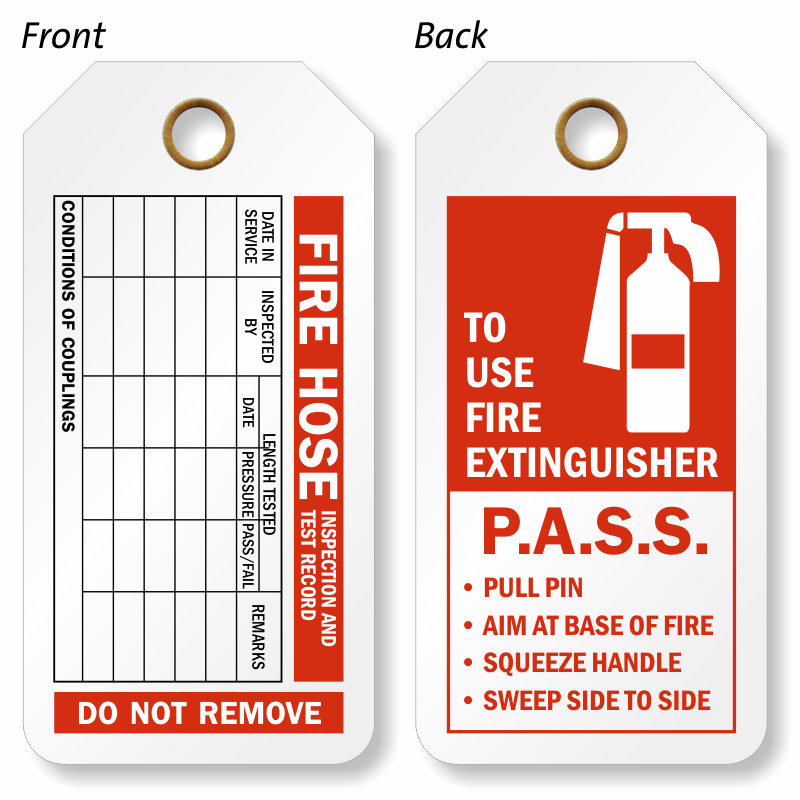 Don't fall behind - put an easy-to-use Fire Hose tag to mark your periodic inspections. Comply with vital fire hose inspection criteria with a durable, long-lasting fire hose inspection tag, complete with all the fields you need to check for an inspection. 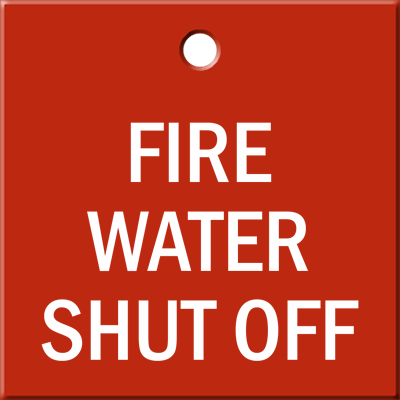 Fire Hose Inspection Tags are required on every hose apparatus. 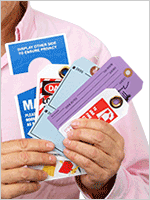 Each 15 mil thick, heavy duty plastic tag is reusable and tear-resistant. 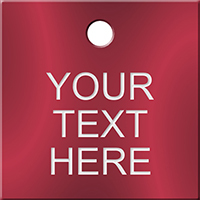 • Use a grease pencil or a permanent pen to record information on these tags. • You may use a hole punch to mark periodic inspections on your fire hose systems. 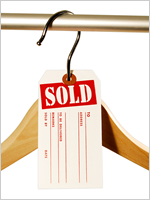 • Hang these tags with a nylon loop or metal wire loop. 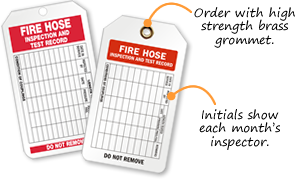 • From schools to hotels and offices, inspection tags can be used in any facility to keep up with fire hose inspections.